WHAT IS THE SHELF LIFE FOR THERAPEUTIC GRADE OILS? People who use adulterated or synthetic oils need to worry about shelf life. Some British references on aromatherapy say you should throw away your oils every six months and purchase a fresh quantity. Yikes, that’s adds up to be a small fortune over time – what an expensive waste! 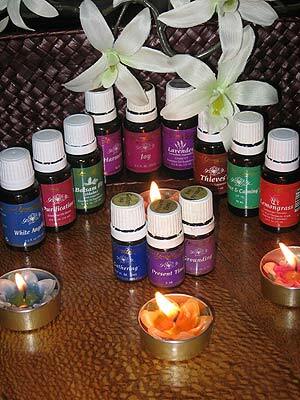 Long ago, I had to do that with the essential oils I bought – before I discovered Young Living. You may not realize, it’s more expensive to buy the cheap oils and throw them away a couple times a year than to just buy Young Living essentials oils and have them…forever. Such advice may be valid for certain carrier blend oils, but is not valid for pure unadulterated aromatic essential oils that are the products of proper growing, harvesting and distillation. The shelf lives of these four classes of aromatic oils are different. While expressed, absolute, and carrier blend oils contain large molecules along with their small aromatic ones, pure essential oils obtained entirely by distillation contain only small molecules. Large molecules tend to be less stable than small ones. Shelf life addresses the question of chemical stability. Aromatic oils are mixtures of many compounds. If a mixture of compounds remains stable, that is, if it does not decompose or change its chemistry over a long period of time in storage, we say it has a long shelf life. If you are using pure distilled therapeutic grade essential oils, i.e., Young Living, then you don’t have to worry about shelf life. Essential oils have been found in Egyptian tombs that were still aromatic and effective — their therapeutic properties intact — even after thousands of years. These oils were in moderately cool, dark places tightly sealed from exposure to air and the elements. That is all they required to maintain their potency. No one knows what their true shelf life may be. All we know is that it is measured in millenia, not months. As for the British oils, there is a so called aromatherapy grade of oil that is actually only 1-5% essential oil [and sometimes, a synthetic essential oil is used] dissolved in a fatty base oil. The large molecules of fatty vegetable oils are not as stable as the tiny ones that comprise essential oils. While large molecules have no smell, the smaller molecules resulting from the decomposition of fatty hydrocarbons do have a smell — an unpleasant one. Hence, an aromatherapy grade oil that is mostly vegatable oil does have a shelf life. Thus, the British texts that recommend pitching your oils every six months have a valid point in reference to “aromatherapy grade” oils. A number of blends containing pure essential oils used in North America also contain some fatty oil such as olive, sesame seed, or almond. Usually, 80% or more of these blends consist of essential oils. These are not the same as the aromatherapy grade massage oils of England which are mostly fatty, but they do have a shelf life. Expressed oils, absolutes, and carrier blend oils are sensitive to heat, such as in a car on a hot day. Heat accelerates any chemical reaction and if the large molecules in these oils are prone to gradual decomposition even at normal temperatures, this process will be hastened by heat. You can tell if any damage has been done to your oils by heat by testing the fragrance. If it still smells the same as when you bought it, it is still okay. If not, then damage has occurred. Exposure to heat in excess of 90-120° F can shorten the shelf life of expressed, absolute, and carrier blend oils, but does not shorten the shelf life of true essential oils. Absolutes, expressed oils, and oil blends that are mostly essential and only partly fatty all have a shelf life. Experience has shown that their shelf lives can be measured in years, unless the oil has been exposed to excessive heat. So if you have any such oils, your nose will know if they go bad. To know if an oil blend contains a fatty carrier oil, read the label! If you want to extend the shelf life of essential oils that have fatty oilsin the mixture, refrigerate them. However, if you are using such oils over periods of time less than a few months, you don’t need to go to the trouble of storing them in your refrigerator. You do NOT have to refrigerate pure essential oils [Young Living] that are the products of distillation. Refrigeration does not extend their shelf life. A cool environment won’t hurt them or help them. They will last indefinitely at normal living temperatures and will remain unaffected and intact even when occassionally exposed to the heat of a hot day in a car, provided you do not open the bottle until it has cooled down to normal temperatures. I have a few Young Living oils, which I only use occasionally, that are 8 years old – they smell like they did the day my order arrived. Now tell me that’s not money saving! Isn’t it nice to know, that if our Young Living oils out-live us our heirs can cherish and use them – just like us. And remember, put your Young Living oils in your Will so your heirs don’t have a fight over them! YOU MAY CERTAINLY ORDER OILS FROM THIS SITE... ALL YOU HAVE TO DO IS CLICK ON THE "YOUNG LIVING OILS" TAB TO THE RIGHT AND IT WILL TAKE YOU RIGHT TO MY OFFICIAL "YOUNG LIVING OILS" WEBSITE AND THE OILS WILL BE SHIPPED RIGHT TO YOUR DOOR!